These high quality bronze Wind (or Feng) Gongs are hand made in Wuhan, China.The bronze is an alloy of 77% copper and 23% tin and is virgin material, not recycled bronze as used in some cheaper inferior gongs on the market! 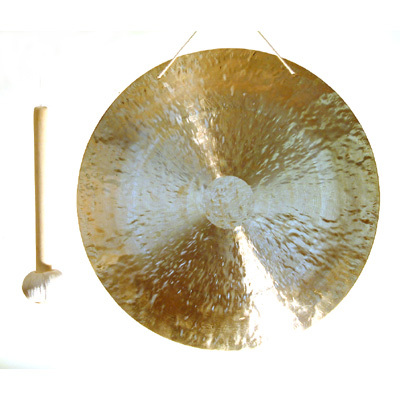 Wind Gongs are flat and lathed both sides,with a high pitched, heavy tuned overtone and long sustain. Available from stock in 13 sizes; other sizes available to order.